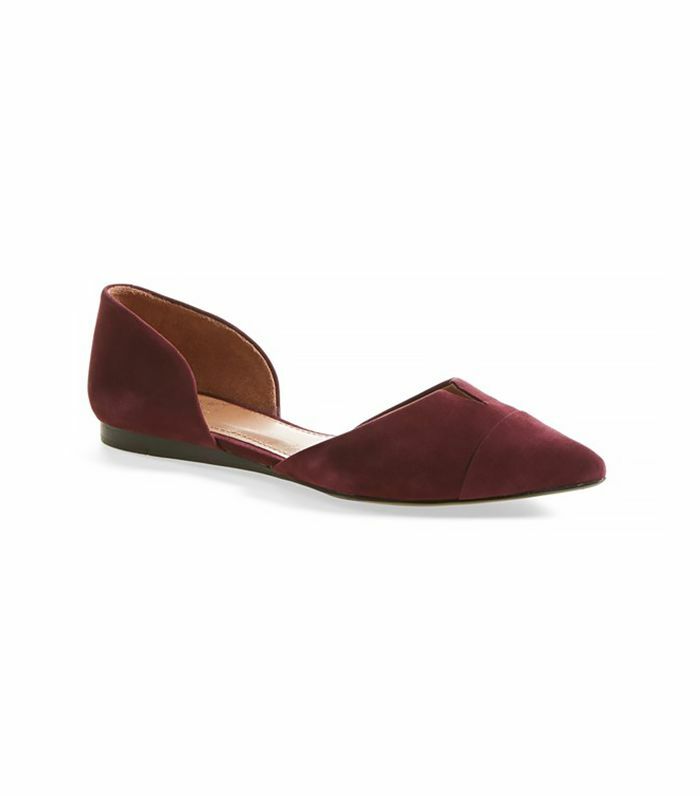 Though designer Jenni Kayne solidified the shoe’s status in the world of footwear, d’Orsay flats aren’t typically included on must-own shoe lists, but they should be, and here’s why: The sleek silhouette and pointy toe make them sophisticated enough to wear to the office and beyond. The inherently architectural cut of the shoe adds polish, with a bit of edge, to laid-back outfits in a way that the casual, girly vibe of ballet flats simply don’t. And the sliver of skin that the d’Orsay style exposes is—dare we say?— alluring, compared to the way a flat in a similar category, like a slipper or loafer, covers the sides of the foot. The cherry on top? The style is a known leg slimmer. We dare you to try a pair with a miniskirt and not notice the slimming effect. If you’ve been paying attention, you’ve probably seen the style on all of your favorite fashion bloggers, and now we’ve rounded up 12 of the coolest pairs on the block. Click through to pick your favorite d’Orsay flat, and let us know what you think! Are you going to try the d’Orsay flat style?